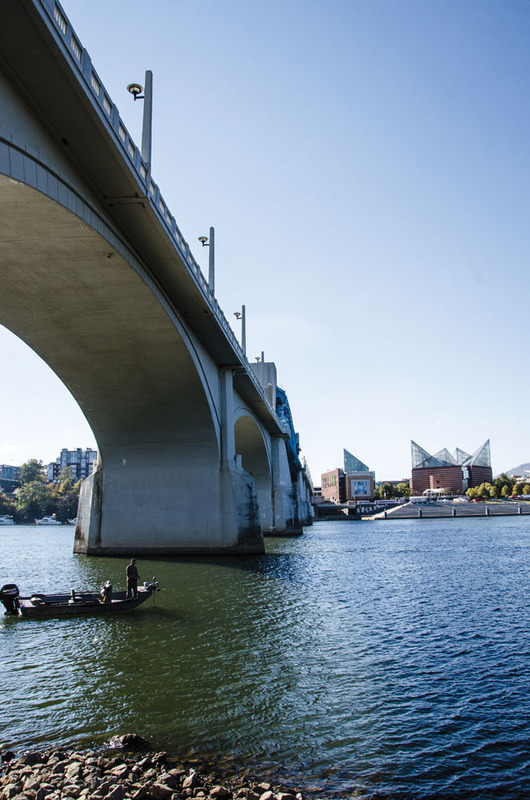 The catalyst for Chattanooga’s rise as an innovation hub came from a seemingly prosaic source. The city’s publicly owned electric company, Electric Power Board of Chattanooga (EPB), has distributed power produced by TVA since New Deal days. It wasn’t necessarily considered an innovator, but it greeted a new century by making a major investment of a sort never seen before in Tennessee or, for that matter, any state. In February 2010, tech giant Google made a huge splash when, via a blog post, it announced a cutting-edge experiment to bring 1 gigabit-per-second Internet to select community partners in America. Offering speeds 100 times faster than average broadband networks, the experiment would be offered to at least 50,000 and up to 500,000 people at an affordable cost. The post ended with a call for interested communities to submit nominations via a request for information. Individuals could also write letters of support for their municipalities, in hopes of currying favor. Hoping to attract the tech giant’s attention before the March 26 deadline, mayors all over the country orchestrated stunts ranging from funny to bizarre. In Topeka, Kansas, the mayor temporarily renamed the city “Google, Kansas.” Known for its bustling dairy industry, Madison, Wisconsin created a Google-flavored ice cream adorned with M&Ms matching the colors of Google’s logo. And, Duluth, Minnesota Mayor Don Ness jumped into the icy waters of Lake Superior to show his excitement at the chance to “take a dip” with Google. One TechCrunch article compared the frenzy to the search for one of Willy Wonka’s golden tickets, from the famed children’s book Charlie and the Chocolate Factory. As communities around the United States were creating parody videos and signing attention-grabbing proclamations, Chattanooga was already in the final stages of its own fiber optics network, which would deliver 1-gigabit Internet speeds to its 170,000 customers by year’s end. 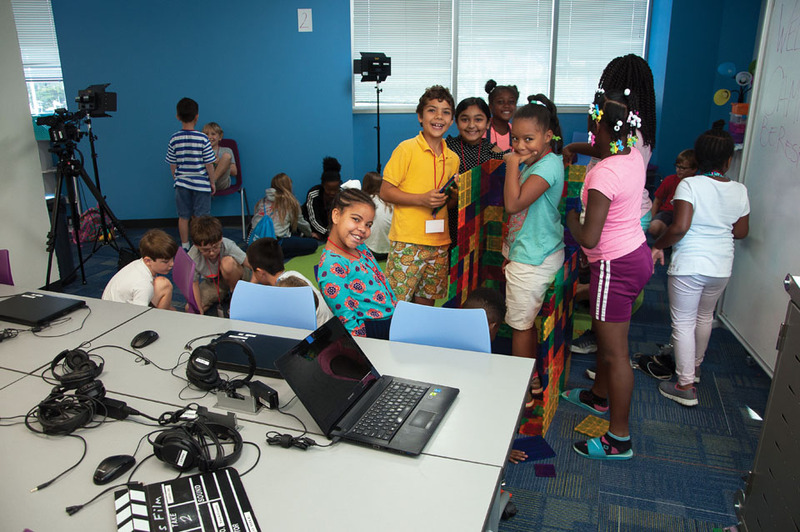 ▲ Campers at learning center Techtown get a crash course in a variety of technology-related fields, including videography, robotics, and 3D printing. In 2007, EPB officials made the case to then-Mayor Ron Littlefield that the municipal utility needed to install smart meters to every customer. It was an easy case to make. Smart meters tied into an advanced smart grid would allow EPB to anticipate overloads and reroute power. They would allow EPB to remotely activate or deactivate electricity. They would also eliminate the need for an employee to physically read customers’ meters, reducing carbon emissions. By creating a 100 percent fiber optics network, EPB would also be able to offer its customers lightning-speed Internet—up to 1 gigabit per second. Littlefield recalls the two options on the table for making smart meters a reality: EPB could use the copper wiring already in place, or “if we want to really do what the future is going to require,” the company could round out its already existing fiber optics by extending it to every household in the city. Despite the hefty price tag, EPB argued that the cost savings generated by running a more efficient grid would ultimately pay for the upgrades. That would prove to be true. EPB officials estimated in 2017 that the smart grid is reducing outage minutes by 50 percent every year, resulting in a $50 million in annual savings for its customers. 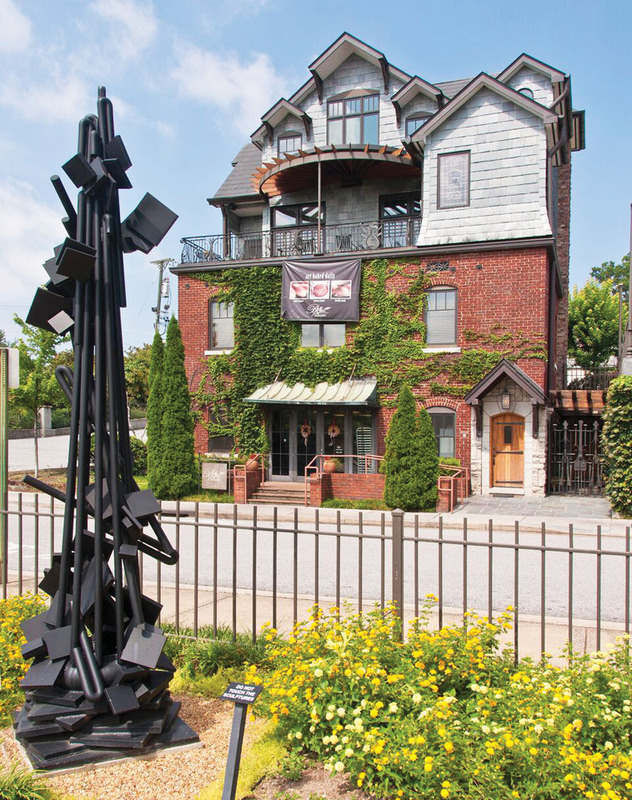 After creating a detailed business plan and rallying community-wide support, in September 2007, EPB took the proposal for the Fiber to the Home initiative to Chattanooga’s City Council, which unanimously passed it. The following year, the city issued EPB the bonds that would enable the company to begin work building out one of the nation’s first and most sophisticated smart grids. A task projected to take several years to complete financially, construction was accelerated by an economic stimulus grant for “shovel-ready” projects awarded through the American Recovery and Reinvestment Act of 2009. On September 12, 2010, The New York Times published an article with the headline “Fastest Net Service in U.S. Coming to Chattanooga.” The following day, EPB officially announced to the world that the gig was up, and it was widely available across the company’s 600-square-mile service area. 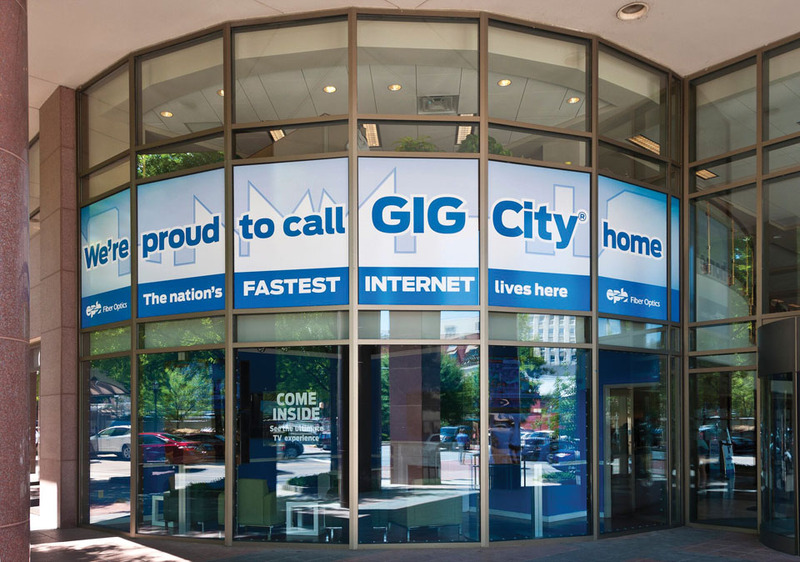 Google eventually selected Kansas City as its test bed for fiber optics in March 2011, but by then, Chattanooga was already garnering global attention as the mid-sized city with the fastest Internet in the nation. What Do You Do with a Gig? “We realized we had a pretty good asset,” says Ken Hays, former president of River City Company and current President and CEO of The Enterprise Center. But the gig, he says, was potentially as world-changing as electricity—which was discovered some decades before it found broadly practical applications. Littlefield recalls standing in a room of about 200 people for the September 13 announcement at EPB. At the end of the meeting, he asked how many in attendance could use the gig. Of those who raised their hands, he says, most of them were doctors. Utilizing ultra high-speed Internet would enable them to read and transmit MRIs remotely, allowing them to provide timely medical care without having to leave home to go into a hospital or clinic. But that was just scratching the surface, and EPB knew they had to attract testers and innovators to the city to truly begin understanding the gig’s potential applications. In the months prior to the big announcement, an ad hoc taskforce began meeting to explore ways the city could maximize the economic impact of the gig. The first step was to get the word out that the fastest Internet in America was indeed in Chattanooga. A successful public relations and marketing campaign kicked off by The New York Times article had made strides in that already. Now, the taskforce needed to turn its attention to proving the value of the gig to the world and attracting the right minds to do it. J.Ed Marston, Vice President of Marketing at EPB, led marketing and communications at the Chattanooga Area Chamber of Commerce at the time and was a member of the taskforce. He remembers the idea of an accelerator program presenting as an actionable and attractive option, and in 2011, he coordinated the city’s first GIGTANK. Targeting entrepreneur teams with high growth potential, GIGTANK officially launched in May 2012 as a think tank/accelerator hybrid. After a competitive selection process, eight teams started the 14-week program with $15,000 in seed money and innovation-related ideas spanning a wide range of applications, from gaming to public health. Each team would benefit from mentorship relationships, working under the guidance of investors, consultants, and seasoned entrepreneurs to test its idea on the city’s smart grid and create a business plan that would ultimately be presented in a showcase-style event called Demo Day. One winning team would walk away with $100,000 to advance its business. That year’s winner was Banyan, a concept targeted at easing the logistical headaches that collaborating researchers experience in information sharing. After a brief stint in Florida, the fledgling company moved its headquarters to Chattanooga early the next year. Another entrepreneur team, Iron Gaming, took home a $10,000 award for its social gaming concept. That company located in Chattanooga as well, and continues to be one of GIGTANK’s success stories, reorganizing as Rezli, Inc. in 2015. Managed today by local business accelerator Company Lab, GIGTANK is in its sixth year and has recently transitioned into GIGTANK 365, a yearlong program with three cycles. “We spent a lot of time proving our credibility,” he recalls. And those efforts to demonstrate the capabilities of the gig in the face of the cynics proved a boon to not only the city but also some of its younger residents. Connecting with University of Southern California’s Annenburg Innovation Lab in 2015, students at STEM School Chattanooga were able to interact with the lab’s marine microbiologists and remotely operate a highly sophisticated microscope to observe microorganisms inside the university’s lab 1,800 miles away. The ultra high speed of the gig enabled the connection, which rendered 4K quality video and images. Dr. Richard Weinberg, of the USC’s School of Cinematic Arts, describes the effect of the partnership in a video by US Ignite, which helped to fund the connection. “It really engages the students as being actual experimenters, interacting with research equipment that they could never get their hands on at the high school level and also having some intellectual stimulation and inspiration from university faculty who they otherwise wouldn’t have contact with,” he says. US Ignite highlighted the microscopy application of the Gig along with two additional Chattanooga-born gig applications—a live joint musical performance with musicians in Chattanooga and Vermont, and a 4K live stream from the Tennessee Aquarium—when it named Chattanooga a Smart Gigabit Community in 2016. Though, to be fair, “gigabit” singular is an outdated label for EPB’s Internet speed. In fall 2015, the utility announced that 10-gigabit speeds were available to any of the 170,000 customers in EPB’s footprint.